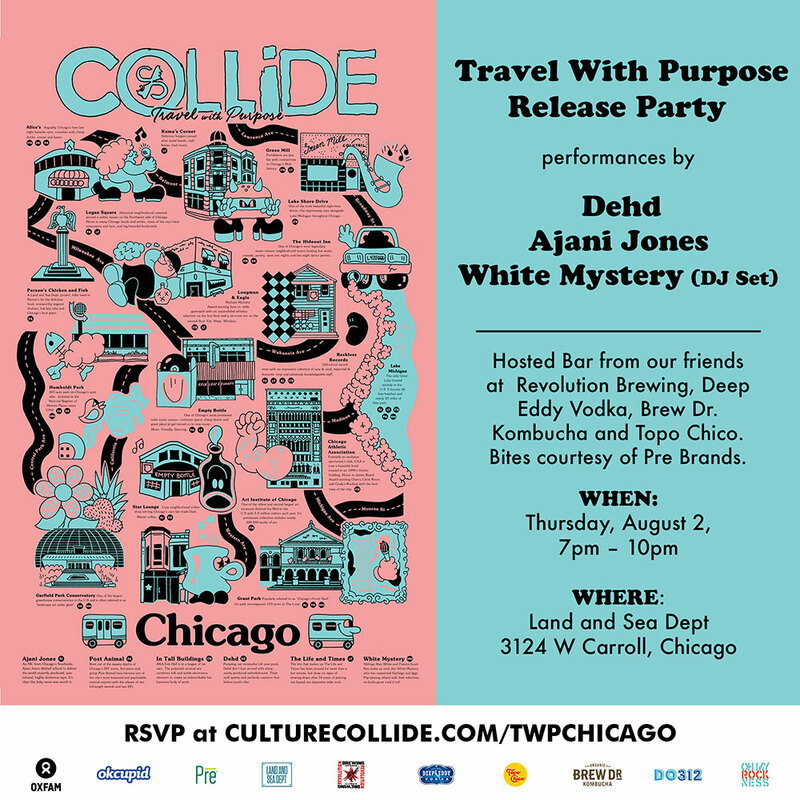 Join us in Chicago on Thursday, August 2nd to celebrate the release of the latest edition of Travel With Purpose! The event will have a hosted bar and bites, live performances from Dehd and Ajani Jones, as well as a DJ set from White Mystery. This edition of Travel With Purpose features recommendations from amazing local bands Ajani Jones, Post Animal, In Tall Buildings, Dehd, The Life and Times, Slow Mass, PEEL, Air Credits, Deeper, Jessica Risker, and White Mystery. Special thanks to all our partners – our friends at OXFAM, OkCupid, Pre Brands, Land & Sea Dept., Revolution Brewing, Deep Eddy Vodka, Topo Chico, Brew Dr. Kombucha , Do312 and OhMyRockness. The first 15 people to show OkCupid profiles at the door get DTF Morning After Brunch for Two at Lonesome Rose (value $50). Download the app here. Click here to explore Sioux City, IA on Culture Collide.